The photo-optical industry, producing photographic and cinema equipment started to develop in Poland only after the end of WWII. Before 1939 the local market demand was met mainly by importing goods. One of the first companies, started in the liberated Poland were Warsaw Cine-technical Works, created on the strength of a directive of the Prime Minister, Bolesław Bierut as of 20 December 1951. The managerial supervision over the company was given to the Central Cinematography Committee. The company was located on Jedwabnicza street 1 and 2 in buildings left after the R. Luxemburg company. These buildings were left devastated significantly after the war. The floors were rotten and windows so draughty that during winter the snow was falling inside. There was even no heating of any kind, just small coal stoves; when the temperature fell below zero Centigrade they gave a bit of warmth only in their close proximity. 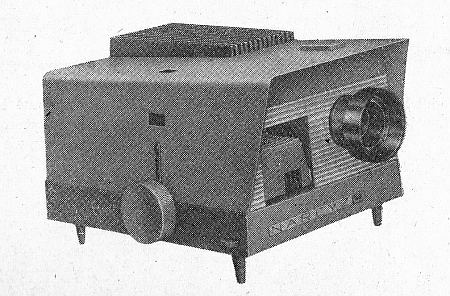 Despite such difficult conditions already at the beginning there were several film projectors designed and their production - started. At the turn of 1952 and 1953 the Central Cinematographic Committee passed the Warsaw Cine-technical Works over to the Heavy Industry Ministry department. Their name was changed into Warsaw Photo-optical Works (WZFO) and they also decided to change their production profile. From that time WZFO was supposed to produce cameras and other photographic equipment. 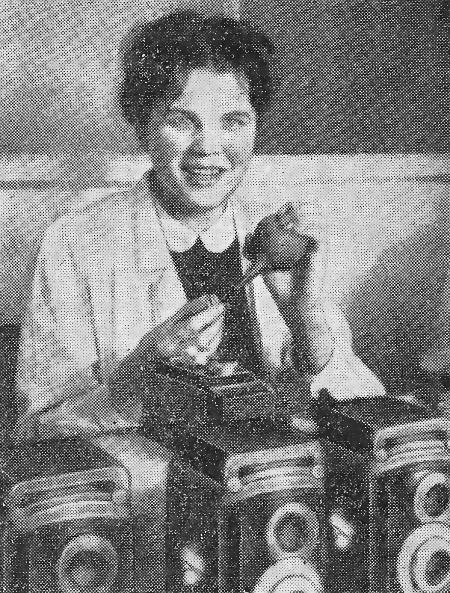 Starting of photographic cameras’ production in postwar Poland was quite a challenge. 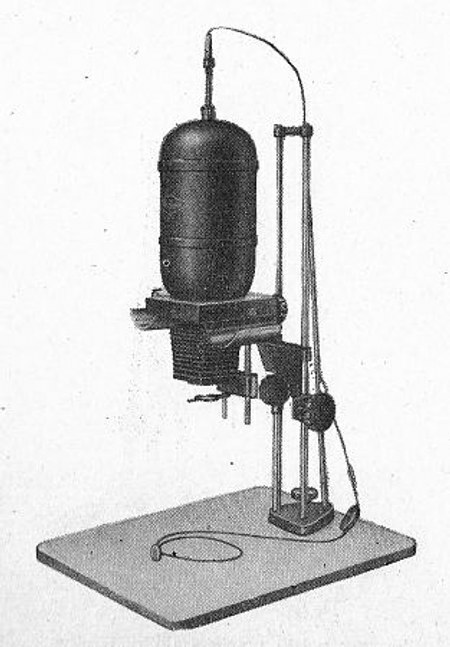 Apart from the fact that there were no precision mechanics specialists after the war, even before the war there was no mass production of photographic equipment in Poland. When Polish Optical Industries could base on experiences from the 20s and the 30s, WZFO was a new, original and very brave project. 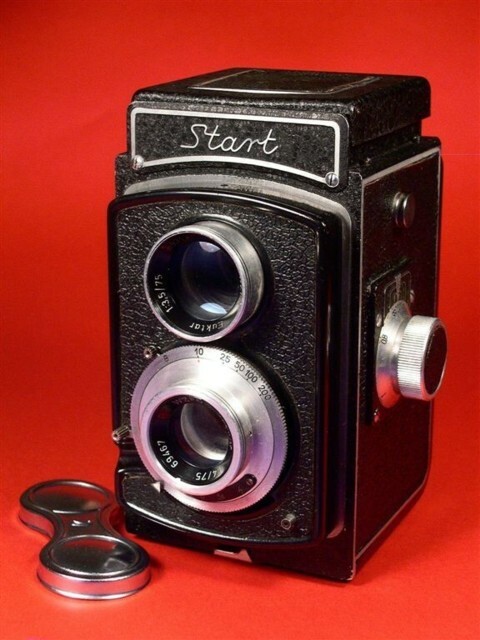 It seems intentions were enough to implement a serial production of Start cameras in years 1953-54. 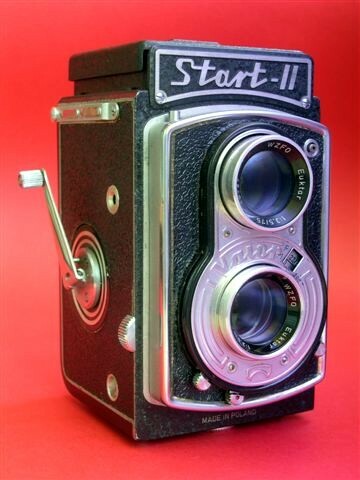 The Start was a reflex camera with two lenses for a 6×6 cm film. The central shutter for that camera was designed in the factory by Janusz Jirowiec under the guidance of Tadeusz Lisowski. In the camera there were the following speeds available: 1/10, 1/25, 1/50, 1/100, 1/200 of a second, and B and X. The photographic objective lens, Euktar 1:4/75 was produced by Polish Optical Industries. It was designed by Jan Matysiak, an engineer and the main PZO designer. It featured an iris aperture controlled with a ring, which allowed the following speed values: 4, 5.6, 8, 11, 16, 22. The second lens, so called viewfinder, had the parameters of 1:3.5/75. Sharpness was set on the focusing screen of the viewfinder by turning the distance ring expressed in meters from 1 to infinity. On the right side of the camera there was a knob to move the film and the whole body was made as a vacuum cast of aluminum alloy. In years 1953–54 Krokus enlargers were produced which enjoyed quite a popularity among photographers for many years. They were designed for the maximum negative format of 6×9 cm. 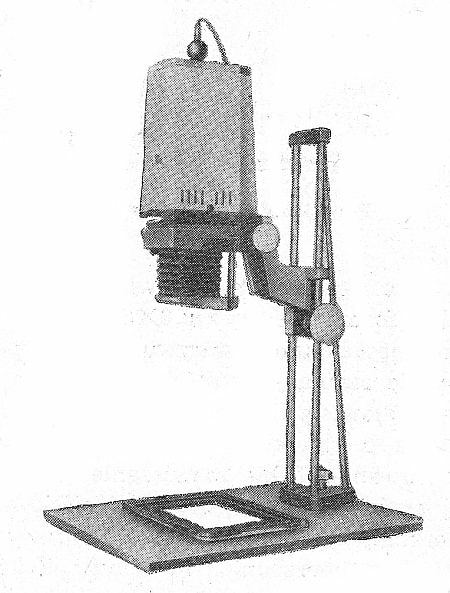 The enlarger’s base was made of wood and the tripod, consisting of three bars – made of metal. 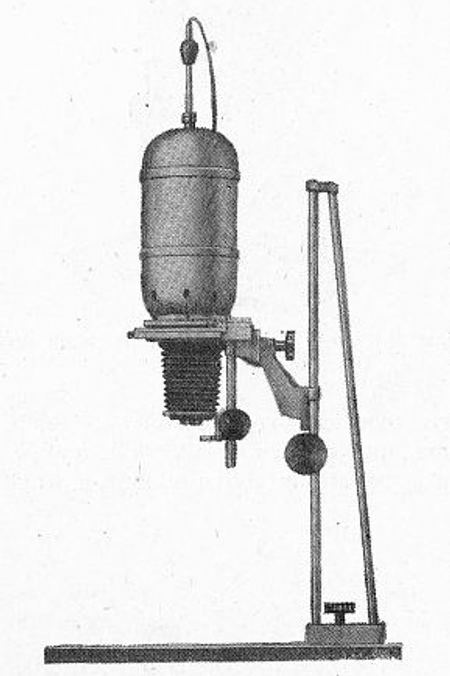 The condenser had two elements. There were also enlarging frames - for 6×6 cm and 24×36 mm negatives. In years 1953-54 they launched also a 30×40 cm enlarging frame. In the period from 1954 to 1957 other models of cameras were launched on the marked. They were called Druh and Fenix. 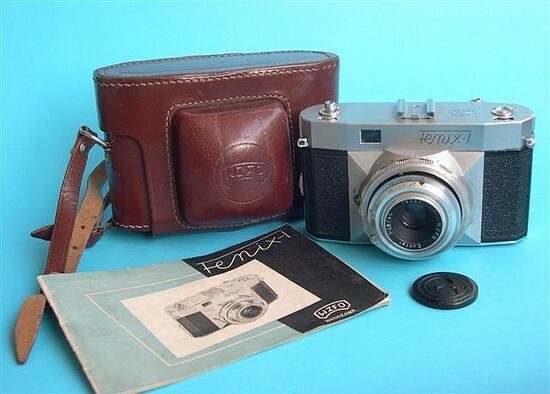 Fenix was a series of 35-mm photographic cameras for 24x36 mm films. Their creator was Feliks Sujkowski. 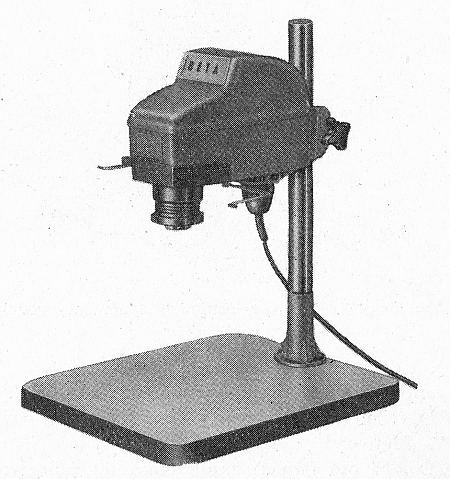 The device was most likely designed in the Central Optical Laboratory as a 35-mm reflex camera. However, it was produced only after many changes in design, as a viewfinder camera. 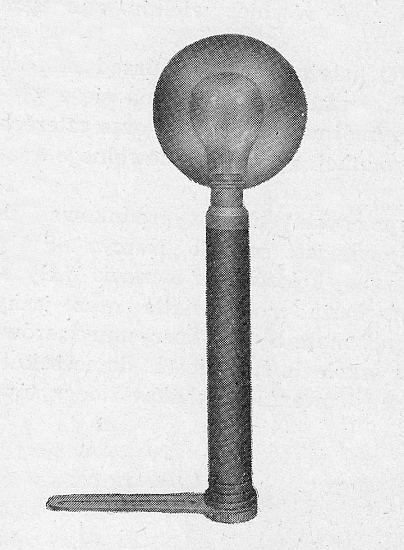 The Fenix was available in four versions, marked as I, Ib, II, IIb. The body and the rear side of the camera were metal vacuum castings. All four version had Euktar 45 mm f/2.8 lens, a very fast device at those times, with an iris aperture featuring the shutter speeds of 1/15, 1/30, 1/60, 1/125, 1/250, B, and a blockade preventing double exposition of a frame or being completely unexposed; apart from that it boasted a mechanism moving the film and tightening the shutter at the same time and a photo counter. I and Ib versions had X type synchronization and a spotting scopes viewfinder with the magnification of 0.8x but in the Ib version a frame, limiting the size of the photo, was visible. 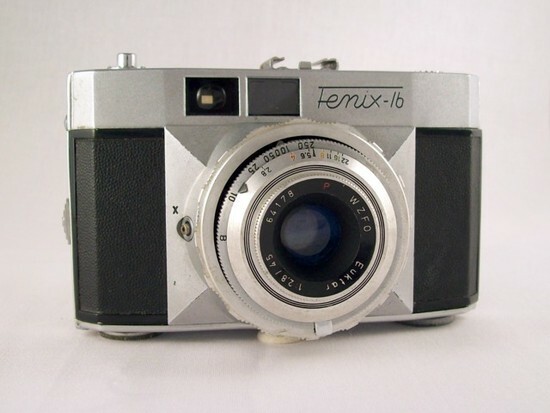 The Fenix II and IIb had a rangefinder joined with the lens instead of a viewfinder. Four other Fenix variations with the marks of Ia, IIa, Is, IIs didn’t go into serial production. They featured lenses of a higher class – the Kobar 1:2.8/45. Models Is and IIs had a new central shutter Synchro-Sudor, with a self-release mechanism and a separate winding tightener, featuring following speeds: 1, 1/2, 1/4, 1/8, 1/15, 1/30, 1/60, 1/125, 1/300, B. These cameras also were equipped with two X and M type sockets for synchronization. 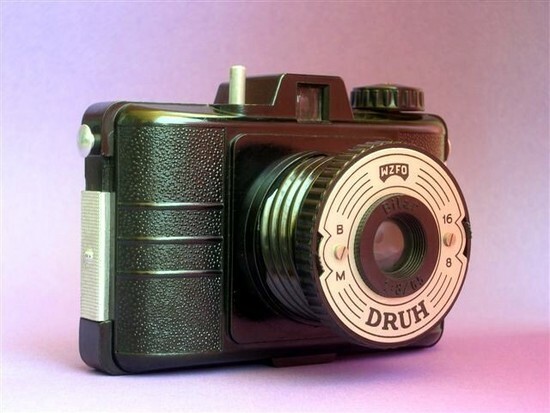 On the other hand Druh was a very popular, simple and cheap camera in a Bakelite casing for young people. There were as many as 1,100,000 pieces of that model produced. It cooperated with 6×6 cm or 4.5×6 cm photo films after using appropriate fillers. It came with a Bilar lens in-built with the focal length of 66 mm, f/8 aperture fastness and a button-hole f/16 aperture. When the M mode was set, the shutter was as fast as 1/50 s and in the B mode – Bulb exposure time. 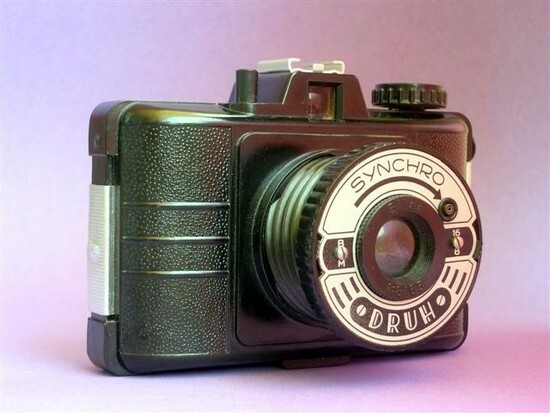 The Druh was also available in a second version called Synchro Druh, with X synchronization and a sledge. Ami was the successor of Druh. Both cameras’ casings were made of from “styropol” or high impact polystyrene. The lens featured a 75 mm focal length and f/8 fastness and the shutter worked at a constant time of 1/50 s. The camera was very easy to use because all you had to do was to move the film and press the shutter. 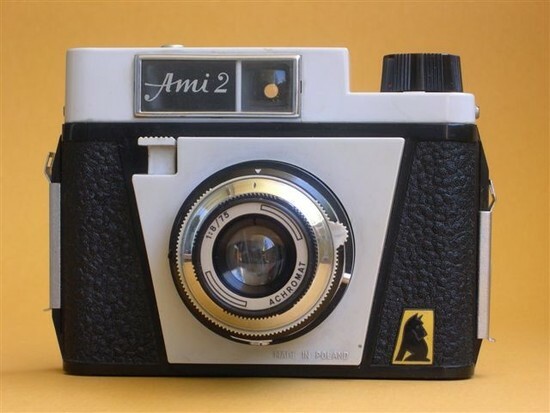 Ami 2 was already a much more developed version of its predecessor. It had a better 1:8/75 meniscus achromatic lens with two focus points: 2.5-4 m or 4-∞, three different shutter speeds - 1/30, 1/60, 1/125 plus B and a double photo blockade. Apart from cameras in years 1954-57 there were also other products, introduced on the market: a flash, new types of enlarger frames and some photographic accessories. Meanwhile an idea was put forward to buy a GDR license to produce 35-mm Praktica cameras. There were negotiations conducted but without satisfying results. The cost of license proved to be prohibitive and not profitable for the Warsaw company. Before 1958 there was intensive work in progress on two new cameras Start B and Start II, based on the first Start. 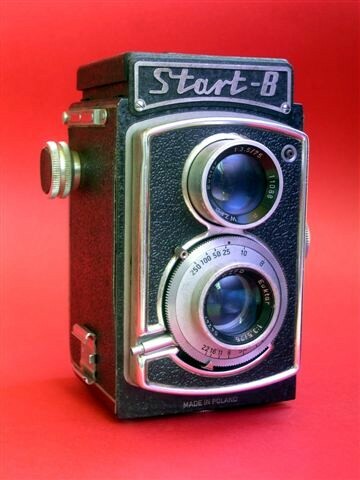 Start II in the beginning phase was marked as Duoflex. It featured a new shutter called Valor with the following speeds: 1/10, 1/25, 1/50, 1/100, 1/250, B, X, an Euktar 3.5/75 lens and an iris aperture with the values of: 3.5, 4, 5.6, 8, 11, 16, 22. The camera was equipped with a sledge, film movement blockade and shutter release safety button, protecting against the double exposition of the frame. There was also a frame counter from 1 to 12 and the film shift was controlled by using a small crank which was situated on the right side of the camera. A bit more complex construction of Start II resulted in production problems. What’s more, because of rival foreign cameras, there was not enough demand for such equipment. That’s why in 1965 the Start II model was withdrawn from production. Alongside Start II the Start B was developed. Both these cameras were based on the same parts but the Start B, being simpler, superseded the first Start in 1960. At the beginning of the production the Start B was equipped with the Euktar 3.5/75 lens, then it was changed into an Emitar. Also the shutter was changed during the production. First it was a central shutter, allowing you to set the following speeds: 1/10, 1/25, 1/50, 1/100, 1/250 and B; soon they were changed into : 1/15, 1/30, 1/60, 1/125, 1/250 and B. 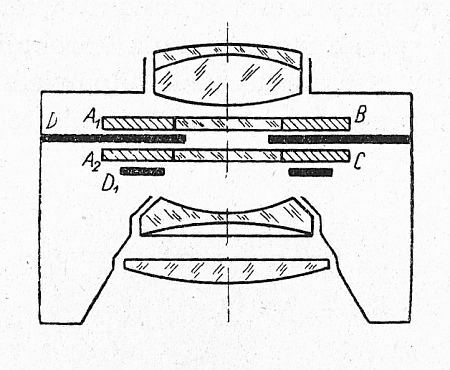 The Start B didn’t have any frame shifting blockade – it was performed by using a knob. The Start B enjoyed a greater popularity than the Start II and it was produced till 1967. 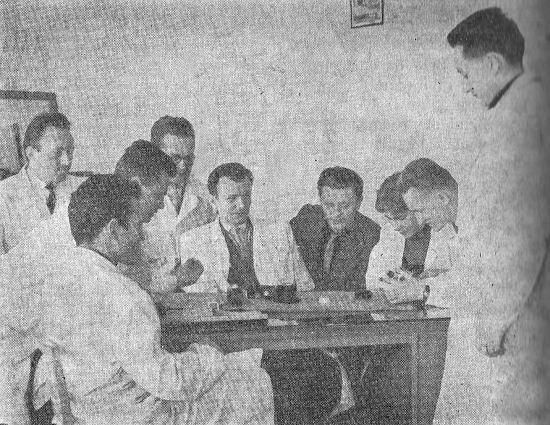 In 1958 a plan of the photo-optical industry development in Poland for years 1958 – 70 was outlined. Future actions were supposed to increase the production of photographic cameras aimed at the domestic market at the expense of the export. So far, almost 40% of the WZFO production had been exported. 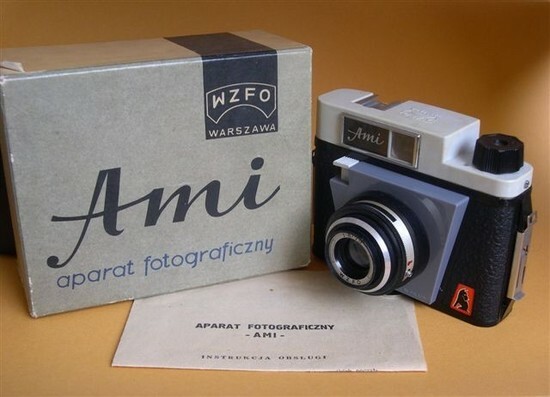 At the same time they intended to limit the range of imported products to only those items which were not produced by Warsaw Photo-optical Works, mainly equipment for professional photographers. 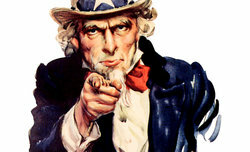 That way they wanted to eliminate rival imported devices for amateurs from the market. According to the plan, the company development was supposed to be based on the production of three types of cameras: 35 mm with a central shutter, twin-lens reflex cameras and cheap cameras, called then “boxes”. There were no more complicated constructions for professionals included. They resigned from the construction of advanced cameras because of their high cost and too low demand. They hoped that the central shutters market segment would develop very fast so their production would increase as they could be used in every camera and exported as well. They also anticipated an increased production of enlargers. To make the factory self-efficient, they planned to extend it, adding more warehouses and a galvanization shop. The lenses’ production line was supposed to be extended as well. A shortened version of the 1958-70 plan forecast a 2.5 times increase of the production compared to 1958. Despite the initial interest from the side of the Heavy Industry Ministry, the project was not endorsed by them. Perhaps because of that the construction of the galvanizing shop was never finished and, in 1962, there was a decision taken about freezing the work over new products and new types of photographic cameras. 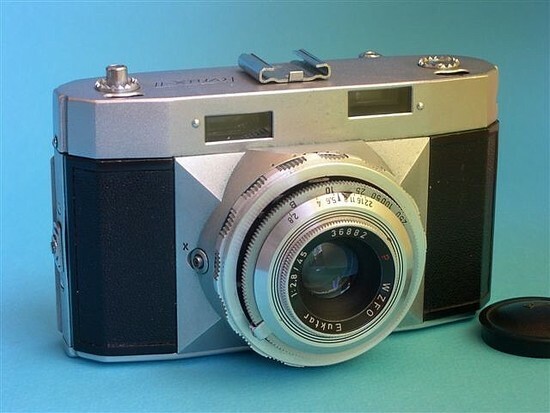 As a result the work on prototypes of, among others, new light meters, the Kobar 1:2.8/45 lens and Sudor shutter with exposure speeds from 1 s to 1/300 s, delayed-action release and X and M type synchronization was put in the drawer and suspended. 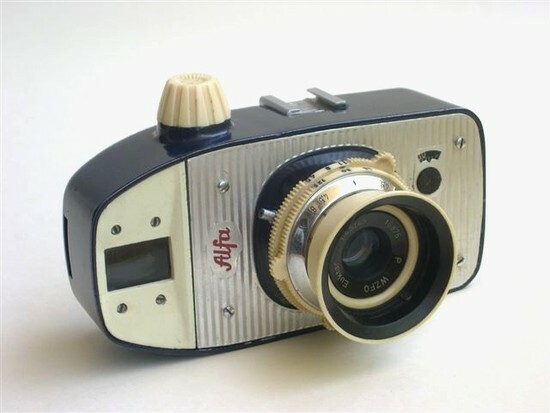 In 1962 a production of small 35-mm cameras, called Alfa, was started. Their appearance was not conventional and they were available in several colours – today it’s hard to know in how many exactly. 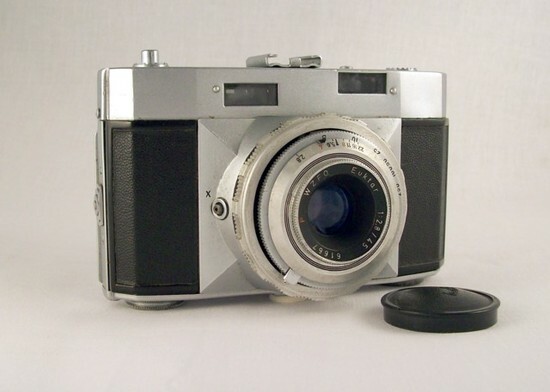 The Alfa had one lens - the Euktar 45 mm f/4.5 - with the aperture range from 4.5 to 11 and the minimum focus of 1 meter. The central shutter featured the following speeds: 1/30, 1/60, 1/125 s and Bulb. The camera also had the frame counter and a synchronizing socket to attach an outside flash. The Alfa model was produced until 1962 and then substituted by a version with number ‘2’ added to its name, produced till 1965. In Alfa 2 the objective lens was changed into the Emitar 45 mm f/4.5 and in the viewfinder you could find parallax markings; the cable release socket was moved from a shutter release to the casing. 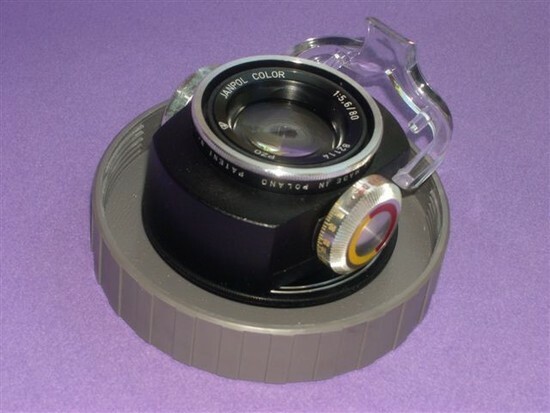 In 1963 an enlarger lens called Janpol Color, with built-in filters to correct the colours of the photo was patented. It was an innovative construction worldwide, created by Jan Jasny, engineer. Why was it so original? To make colour positives the light coming from an enlarger must be filtered to give the best colour rendering possible. A set of 33 correction filters was used here. An appropriate filter was inserted into an enlarger drawer and you made a test positive. Of course you had to repeat the process to find the best filter. As you can imagine constant changing of filters was time-consuming and bothersome. The Janpol Colour objective lens was a logistic solution to that problem. 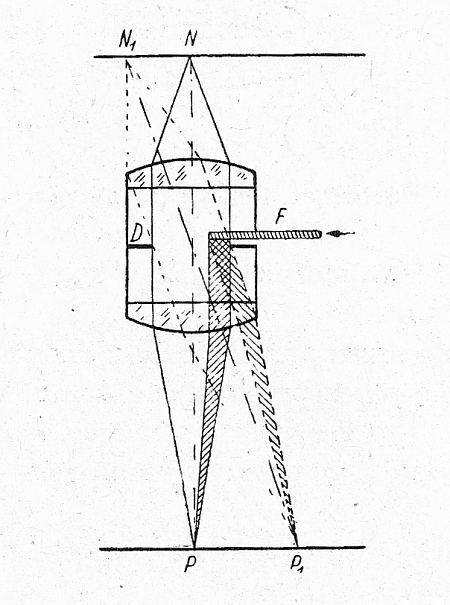 Simplifying the description, instead of many filters there was a movable one in the lens, which, inserted into the ray of light sufficiently deep, could filter a determined part of the light spectrum passing through the lens. It entailed a change of light colour intensity which exited the lens. The lens could also be used for black and white photography; what’s more, glass filters, which it featured, were more durable than gelatin correction filters. The filter, marked as F is situated over the aperture, marked with D letter. From the N point exits a divergent ray of light into which you insert the filter. of the positive depends on the ratio between the filtered and non-filtered rays. colouring depends on how deep the F setting point is positioned. 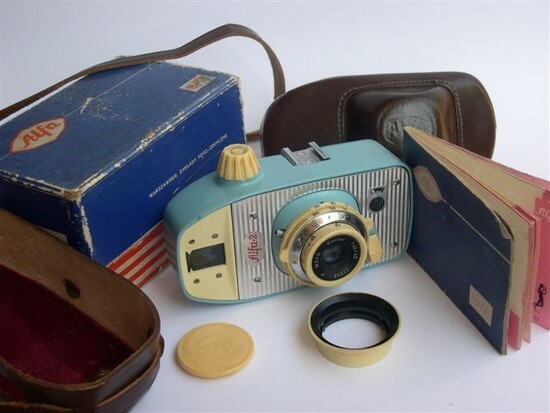 Despite financial difficulties in years 1963-65 WZFO was able to produce 5 types of photographic cameras, 5 types of enlargers, three types of enlarging frames and a big number of other accessories. With the passing time – as our sources state – because of uncontrollable import, they produced only the Start 66 camera we will deal in greater detail in a moment, and cheap youth cameras. They developed the production of enlargers and started designing slide projectors. The first one was a slide projector called Narcyz. It could work with slides of the maximum size of 40x40 mm. It had the projection range from 0.5 to 5 m and the maximum image size with a given distance was 2.3 x 2.3 meters. The abovementioned Start 66 was created in 1966 and was based on the Start B model, substituting it finally from 1967. The new camera was given a new look, new and better finishing materials, improved mechanisms and elements which in the B version were problematic for users. The same objective lens was given a better frame, they changed the viewfinder and the rear side lock. 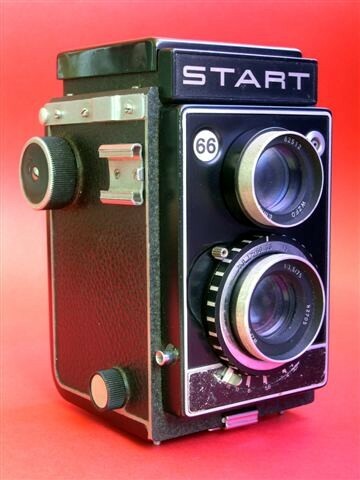 At that time Start cameras became very popular even abroad: in Italy, the Netherlands or in Brazil. To 1968 there were about 100,000 pieces produced. 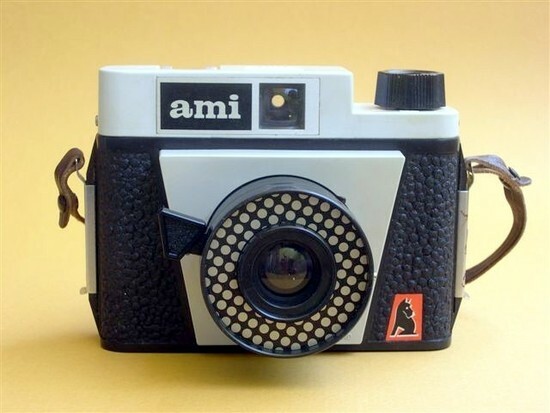 At the end of the 60s there was another model of the Ami camera designed, marked as “Ami 66”. Compared to its predecessor it featured a new plate shutter with self-tightening mechanism and the opening times of 1/60 s and Bulb, which was supposed to be more resistant. 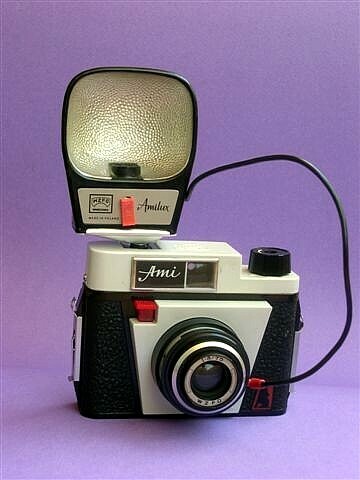 The characteristic feature of Ami 66 was the shape of its lens –at the front of the casing around the lens there was a selenium light meter dummy attached, giving the camera a pop-art style look. The history of WZFO wouldn’t be complete if we didn’t remind here other photographical articles, produced by that company. We didn’t manage to get to detailed information about in what period exactly the given accessories were produced although their range was wide. 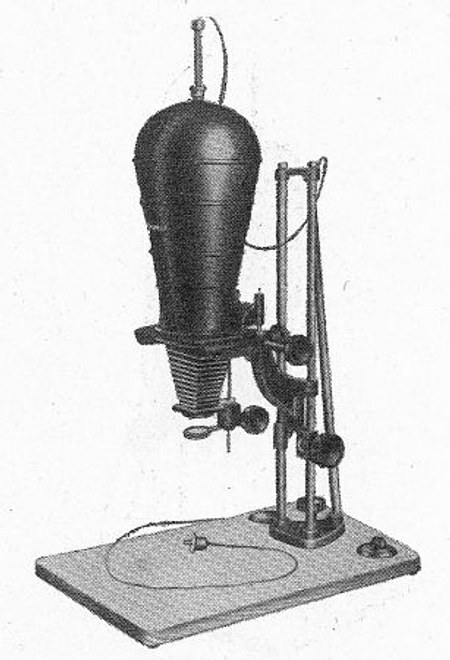 There were two flash bulbs on the offer, with the most popular Amilux among them, a tripod stand and a bipod stand called “Tramp”, stand heads, school microscopes and microscope lamps, loupe magnifiers. The Krokus enlargers series enjoyed enormous popularity. 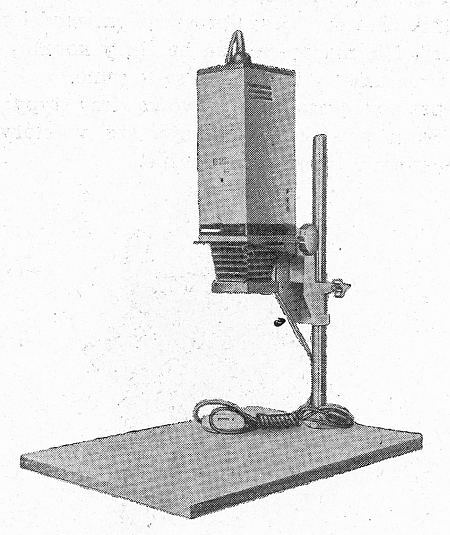 From 1953 WZFO produced the following types: Krokus, Krokus II, Krokus Color, Krokus 3, Krokus 3 Color, Krokus 66 Color, Krokus 66 and Krokus 44. The maximum negative size they supported was 6×9 or 6×6 cm and the marking ‘Color’ was given if a model had a drawer for correction filters. The second group of enlargers were Meteors for negatives with the maximum size of 4×4 cm. That series included models with the following names: Meteor Color, Meteoryt and Meteor. 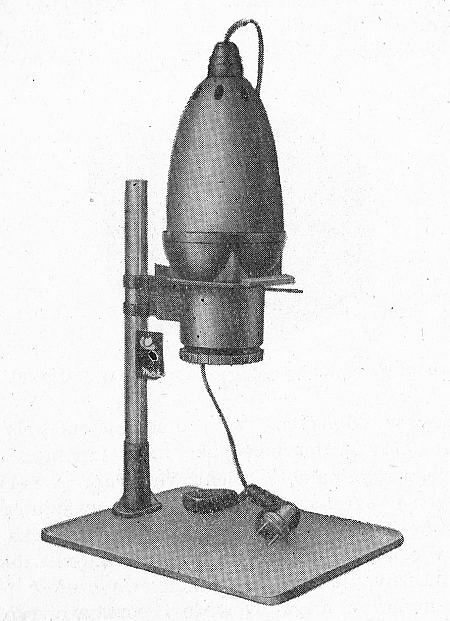 Krokus and Meteor devices were solidly build and made of metal and wood; the cheapest enlarges, in which plastics were used were models Beta and Beta Nowa, supporting the maximum negative size of 24×36 mm and Mak for 6×6 cm negatives. WZFO also produced enlarger frames with great success, meeting the demands of both amateur and professional market. 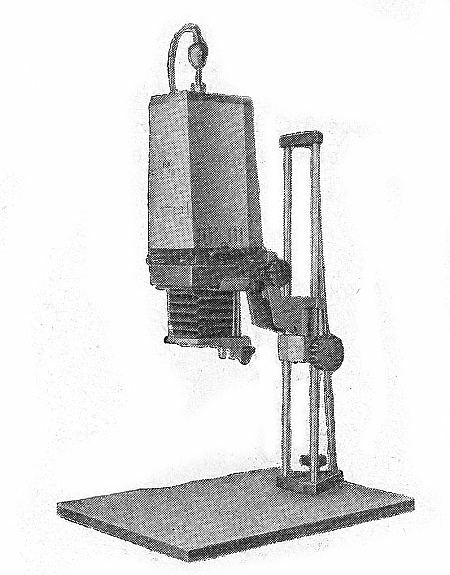 First of all there were large quantities of that devices manufactured for three main formats: 13×18 cm, 18×24cm, 30×40 cm. A high number of them was also exported, say to the Federal Republic of Germany where they were used in Automator N-34 instruments, determining automatically the exposition time of photographic paper. 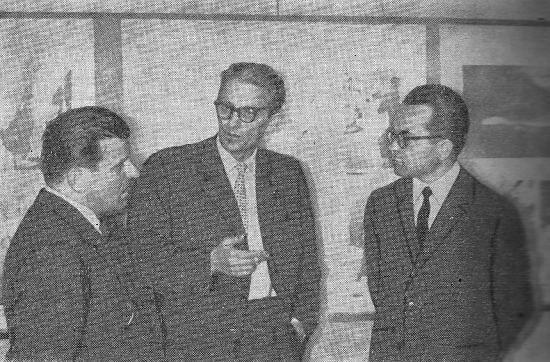 J.Kunkel, the last chief designer Stefan Surdy (photo: PZO Archives). We would like to thank warmly Mr. Jacek Przybyszewski for making the photos of different cameras available to us.